Image of the Rectangular Inset-fed Patch. Microstrip antennas, also called patch antennas, are very popular antennas in the microwave frequency range because of their simplicity and compatibility with circuit board technology. 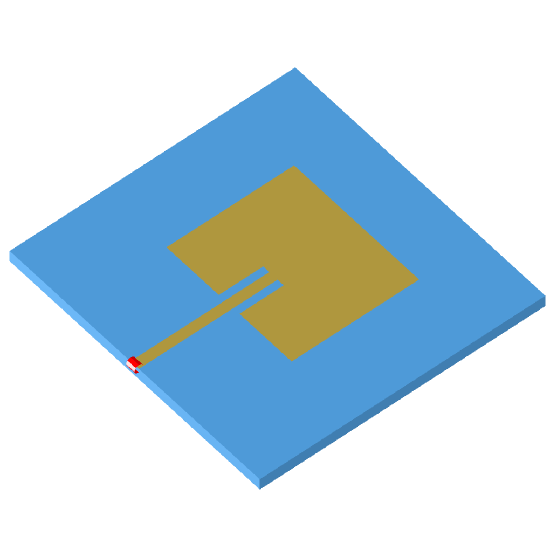 The rectangular patch antenna is the one of the most commonly used microstrip antennas. Inset-feed microstrip antennas are suited to direct integration with microstrip circuits, since the antenna can be etched on the same substrate. The inset-feed allows this antenna to be designed for a wide impedance range without using extra impedance matching circuitry. When sharing a substrate with microstrip circuits, the antenna performance is, however, limited by the conflicting substrate requirements for antenna and circuit use. This antenna is popular as an array-element, but for large arrays the feed-network radiation may affect performance considerably.